You can upgrade or downgrade your membership level at anytime. If you wish to upgrade, we will calculate the change over amount based on your current membership status. If you wish to downgrade, it will only take effect when your current membership is due for renewal. You can upgrade or downgrade your membership via your MyAccount Page or email us to discuss. You can cancel your membership at any time. This will result in the cancellation of the automatic subscriptions renewal at the anniversary of your current membership. Your current membership will remain active until that date. Your cancel your membership via your MyAccount Page. You can reset your password here. If you are unsure what email address you used to set up your account or require any assistance, please email us . How do I get my ‘Board Ready’ CV completed? If you have joined as an Access+, Executive or Non Executive member, please send a WORD version of your current CV to [email protected]. Generally, final versions of board ready CV’s are completed within 10 days of submission. Please let us know if you require an urgent turn around. How do I load or update my NED profile? You can input and update your profile via your MyAccount page. Then select “NED Directory Profile” from the menu on the left. How do I contact Board Direction? The best way to contact us is via the contact us page on the website. However, if you would like to speak with a us directly you can reach the Managing Director on 0479 196 058. 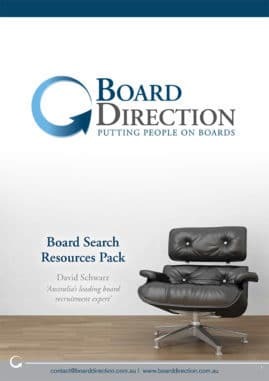 Where is Board Direction based? Board Direction Pty Ltd are a wholly owned and operated Australian company based out of Sydney, Australia but operating Nationally. Our ABN is 71 351 180347.